يشكل فندق Robinson Crusoe Island بموقعه الممتاز في قلب Natadola نقطة انطلاق ممتازة لاستكشاف كورال كوست. يقع مركز المدينة المثير على بعد فقط. يوفر الفندق بفضل موقعة الجيد وصولاً سهلاً إلى أهم معالم المدينة.
. يعمل Robinson Crusoe Island على ضمان إقامة مريحة لضيوفه من خلال خدماته الممتازة وحسن ضيافته. يقدم هذا الفندق العديد من الخدمات الكفيلة بإرضاء أكثر الضيوف تطلباً. بالإضافة لهذا,تتضمن كل غرف الضيوف مجموعة واسعة من وسائل الراحة . بعض الغرف توفر حتى شرفة/ تراس, ستائر التعتيم, مروحة, مستلزمات التجميل, دش لإرضاء أكثر الضيوف تطلباً. صممت خدمات الاستجمام في الفندق والتي تتضمن حديقة مائية, الغوص السطحي, شاطئ خاص, مسار جولف - ضمن 3 كم, حمام سباحة خارجي لمساعدتك على الاسترخاء والراحة. مهما كانت أسبابك لزيارة كورال كوست، فإن Robinson Crusoe Island هو الخيار الأفضل لإقامة مثيرة وممتعة. توجد انتقالات إلزامية بالحافلة من/إلى جزيرة روبينسون كروزو مقابل مصروفات إضافية. يُستثنى الأطفال دون عمر 5 أعوام من الرسوم. ستتوفر لك الحافلة الصغيرة لتوصيلك من معظم الفنادق الرئيسية مثل نادي، ودينارو، وكورال كوست. يجب على النزلاء إبلاغ العقار مُسبقًا لترتيب إجراءات الانتقال إلى المنتجع. بيانات الاتصال موجودة في تأكيد الحجز. تتوفر أيضًا انتقالات خاصة بدون مواعيد. عند إتمام أي معاملة تتم من خلال بطاقة الائتمان، يتم فرض رسم بنسبة 3% على بطاقة الائتمان. يتمتع الأطفال الذين تقل أعمارهم عن عامين بإقامة مجانية. تكاليف الغداء 70FJD للشخص في اليوم الواحد. تكاليف العشاء 70FJD للشخص في اليوم الواحد. Meal plan expensive. Need more variation with food. Need fruit with all meals. Our family had such fun! It was a dream come true for our two young boys!! 1. The transport fee is very expensive. (FJD 70 /adult) 2. The charge of dinner is very expensive and unreasonable. (FJD 40/ adult) What was the food ? It's spaghetti with meat and tomato sauce. And you can have some vegetables. That's all. You are made to feel welcome from the moment you step foot on the island. It is a small island but the staff have big hearts and are so friendly and ensure that all your needs are taken care of. You become part of the Robinson Crusoe family and it is AMAZING. Food is awesome, rooms are clean and beds are comfy and you get to participate in all the activities and watch all the live shows including fire dancing every day! Recommend to stay on the island at least 1 night as you get the whole island to yourselves after all the day cruises go back to the main land - you can take lots of amazing photos! the best part was we got to interact with the friendly staff who tell you stories about lives in the village and they teach you and help you make souvenirs to take back home! Summary: if you want a great time with Fiji people at a reasonable price, this is for you. If you want the Hilton, go to the Hilton. The good: You become part of the resort's family while you stay, and what a family it is. There is nothing to worry about for the entire time you are there and you can really get away from it all. People come for miles from the other resorts to see the activities and the fire show - which are inclusive for the house guests. My children were in tears when we had to leave. Things to watch out: There are inclusive bus+boat transfers to and from Nadi, but only a few times per day, and if that doesn't work with your schedule you have to pay extra for a taxi and a special boat trip. There is a compulsory surcharge for food which isn't mentioned on Agoda. The facilities are basic but at least the water supply and generator problems mentioned by other reviewers seem to have been fixed. I was a regular return visitor. The culture of and friendly spirit of the place kept me coming back. Ad well as value for money. Since new management took over- the spirit has dissappeared-and meals arnd boat transfer are no linger included. Check small print in policies for HIDDEN costs before booking. The staff was great! You should stay there for 2 night to live a real Fiji life, speak with the Fijian, kayak, snorkeling, coconut and chillin on the beach! I was there with two my friends and it was a great experience! Must to try! The island is pretty beautiful and the staff are lovely. But you can't sell a room for £55 and then once on the island slap a bill of double that per day onto it for food and drink (that can only be bought at the resort (no shops or cafes). Even putting that fact in the small print would make it OK. I think the management have the wrong idea about the visitors too - making the dancing and stuff really professional would mean it could last 30mins to an hour rather than going on all night with lots of people doing the same thing. I and other people enjoyed it but we also want to talk to people at the resort and relax. (It's not an 18-30s resort). We had a fabulous few days on the island. Each day was different. The canoes and snorkels made the warm waters surrounding the island even more tempting and the entertainment was varied and the best we saw whilst in Fiji. The staff were fantastic - extremely friendly and welcoming. At times it felt like our own private island. 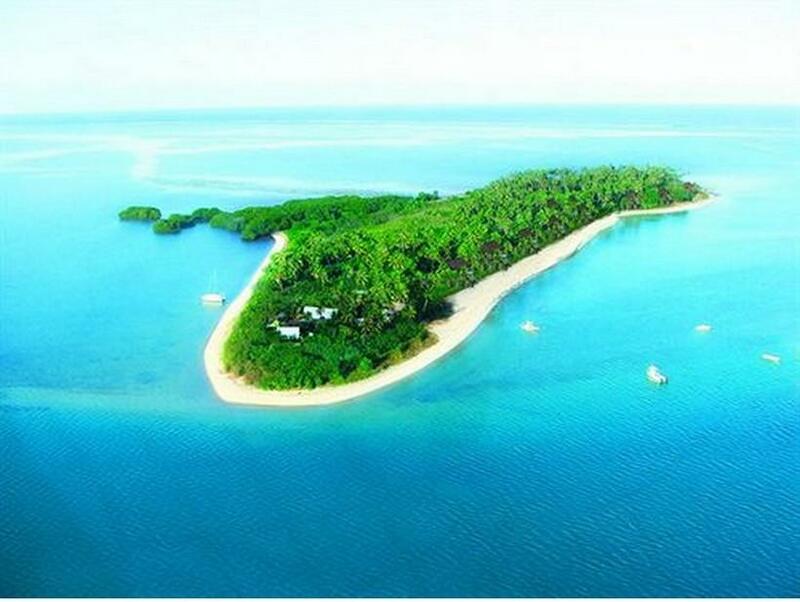 We would definitely recommend a visit to this island whilst you're in Fiji - even just a day or evening trip would be worthwhile but stay for a couple of nights if you can. The staff that run the show are the nicest people you will come across. Good value for money holiday, very peaceful and tranquil location. Looking forward to returning in the future. There is no mains supply for power or water. The generator gets shut down after midnight.. Try and avoid unnecessary water consumption to avoid running out between tank refills. Water supply was intermittent during our stay also I don't believe there is any heating for the water either. Best not shower after dark. The staff here are the friendliest that we have ever met. They were very helpful in many ways. Great Room, Affordable and Very Fun. There were only served food three times a day, and if you were hungry the 6 hours in between they only sold peanuts. If you have any food allergies do not go there! you'll end up eating egg and potato for every meal. Or they will just suggest that you can try and see if there is weat in the food when you are super allergic. The water is grumpy and brown, nothing like the pictures. They also have a generator on the island and it turns off at 11.30 at night and stays off until 7 in the morning, this means no power and no fans at night. Would NOT recommend it, we were glad to leave. Fantastic place to stay! Commune with nature, get back to the basics, relax and get to know the staff - they're wonderful people who made our stay unforgettable. The meals were excellent, and they were able to cater very well to my veganism. We really liked the open-air shower, and the chance to spot a gecko whilst brushing our teeth. The Bure Levu was simple, clean and comfortable. The island is lovely, and the staff put a lot of effort into keeping it looking its best. Most amazing of all was the fire dancing, especially as it's performed by staff and not hired-in professionals. Very few places we've travelled are high on the list to visit again before adventuring to new places, but RCI is the exception. We can't wait to return. it is a great experince to be in a place where u dont beed to worry for anything. beatiful beach, very relaxing and clean place, toilets were all clean all the time, anytime of the day. helpful staffs, they're really friendly can't complain at all. good food from morning tea to dinner what else can we ask for? well, thanks to the lady who gave me a 15 min free massage!!! you're very good! i so love it! and to everyone at the island thank u and keep up the good work! A recommander. Très petit bungalow mais propre. Superbe show plusieurs fois par semaine. Repas correct. L'hôtel organise quelques activités durant la journée. Une grosse fête tout le temps, un accueil désastreux, des formules repas hors de prix pour de la nourriture infâme ! Des activités digne des plus tristes camping ! Nous avons réservés un island lodge, ils essayent de nous mettre dans un logement inférieur et la dernière nuit nous demande de changer de chambre pour une chambre inférieure ! Le Check out évidemment ils essayent de prendre un peu plus que prévu en nous faisons payer la formule au prix Max sachant que nous n’étions pas là le midi de la 1ère nuit ! Le transfer très cher, le chauffeur nous a déposé sur le bord de la route à 5 kms de l’hôtel (avec un enfant de 3 ans). La formule repas obligatoire : un buffet froid, pas bon, poisson ou poulet, servie à heure très fixe, si vous arrivez 30 minutes après l’ouverture il n’y a plus rien!! Une honte tout simplement ! enchantés par ce séjour trop court . Une équipe adorable dans un décor de rêve. Des spectacles magnifiques. De merveilleux souvenirs.